Album presents a modernized version of myth about story of Orpheus and Eurydice, in it he underworld is presented as industrial empire ruled with iron fist by Hades. People are brainwashed into adoring their king and follow his every order without and thought, endlessly working in the mines. LP kicks off with a song emphasizing sweet and unconditional love between the two lovers, it definitely feels like the center point of album. Even though they both live in world troubled by economic issues, Orpheus ensures his wife that they will be fine, as beauty of his music allow him to shape the world to his liking. His words are eventually deemed pointless, as Hades lures Eurydice into the netherworld, she is forced to join him because of needs her body is riddled with. Once she is gone the artist cannot possibly forget about her, he decides to embark on a quest to save her, regardless of warnings he received from Hermes. 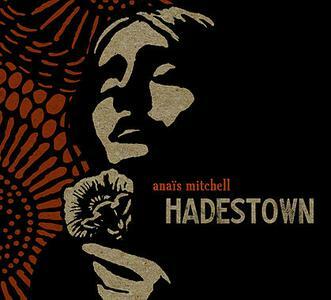 Hadestown is presented as deadly, soul-sucking land that nobody managed to leave alive. The record is full of amazing, emotional and sometimes catchy songs, for me nevertheless the absolute highlight is Why We Build The Wall, in it Hades tutors his subordinates on why the work they do is necessary and what is the point of it. The people he calls "his children" do not see any faults in his logic, yet, it is clearly apparent that what he does is an endless cycle of not wanting to let poverty inside by creating a wall, both literally and figuratively. It serves as a tool to protect yourself but also get isolated from something you do not want to understand, basically giving you a fake sense of comfort. Ruler indoctrinates his followers, brain washing them. It is clearly visible in workers repeating the words he says without even noticing that they end up addressing themselves, they are clueless of what is going on and repeat monarch's line "My Children, my Children". This part of the LP further shows how much of a rotten place Hades really is. People are devoid of free will, they are just tools in hands of their "owner". From the get-go it seems the task ahead of Orpheus is near impossible. He himself doubts the possibility of saving his wife on If It's True, yet is ready to give away every part of his body and eventually even his musicianship to save the one he adores the most. Eventually he manages to find allies in this horrible world, workers are moved by his music and are ready to start riots, even the wife of Hades - Persephone wants to aid him. She has the ability to bring out a softer side of her husband, at moments, when being next to her he seems to be a normal man. Eventually the story aligns with the evens of original Greek myth, Orpheus has the ability to bring back his lover, there is only one condition - the entire road has to be traversed without him looking behind him, he is forced to trust lover that once betrayed him. Sadly, just like in the original work, he fails the test. Swirling and terrifying sound in the last seconds of Doubts Comes In is what would seem to be Orpheus turning around and seeing his loved one disappear forever, realizing he has failed. All the fear and doubt that has built over the journey makes the man snap. Last song of the album is people of Hadestown and, it would seem, the singers themselves raising their cups towards the poor artist. There is a beautiful meaning inside of it, people who do not abandon hope even in the darkest of times deserve to be recognized as heroes. Overall, I cannot think of any shortcomings of this record. It is an amazing folk musical that through sharp, witty and clever lyricism delivers fascinating story, creating, for me at least, a perfect concept album. Vocal performance of every artist is something to compliment for sure, no vocalist is annoying or comes off as "trying too hard", everything is finely tuned and produced in way that makes me want to listen to it over and over again.